Parent & Child Dedication symbolizes a pledge by parents to raise their child in a Christian home. We welcome any parent that has accepted Christ as Savior and is striving to live according to biblical standards. This is not the same as infant baptism. 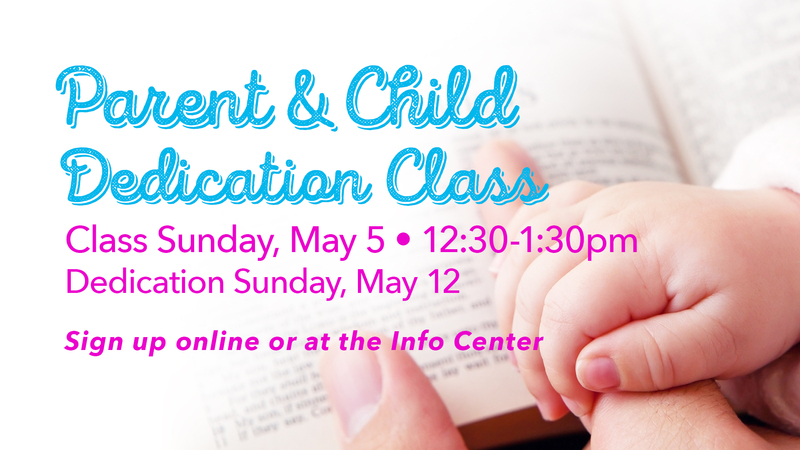 We offer a one-hour class that covers the meaning of parent-child dedication, the reason we dedicate young children vs. baptism, the responsibility of the parent after dedication, and the logistics of the dedication service. The next class is Sunday, May 5th at 12:30pm. The next dedication ceremony will be on Sunday, May 12th-Mother’s Day!